Owning a security camera used to be associated with grand mansions and/or eccentricity, but recent figures suggest that installing surveillance cameras is becoming more and more common among British homeowners. In fact, two fifths (40 per cent) of British homeowners now have some form of security camera installed on their property, with 44 per cent of these homeowners specifying that they have an outdoor camera, and 31 per cent owning a smart doorbell. The average cost of installing a home security camera? Around £175. All this according to a poll of 2,209 Britons over the age of 18 by windows furnishing company Thomas Sanderson; all respondents to the poll either rented or owned their own home and have lived in it for at least two years. When given a list of reasons for owning security cameras and asked to pick all that applied, the most popular answers were: ‘to deter would-be burglars’ (91 per cent); ‘to use as evidence in case of a crime’ (89 per cent); and ‘to monitor who is coming and going’ – think teenagers and their friends (61 per cent). For some homeowners, installing a security camera was at least partly the result of mistrusting neighbours or delivery people. Almost 15 per cent gave 'spying on neighbours' as a reason for installing home surveillance; 12 per cent felt their delivery drivers or postmen were not to be trusted; 10 per cent wanted to keep an eye on their pets; and one person was determined to find out who was stealing their milk. 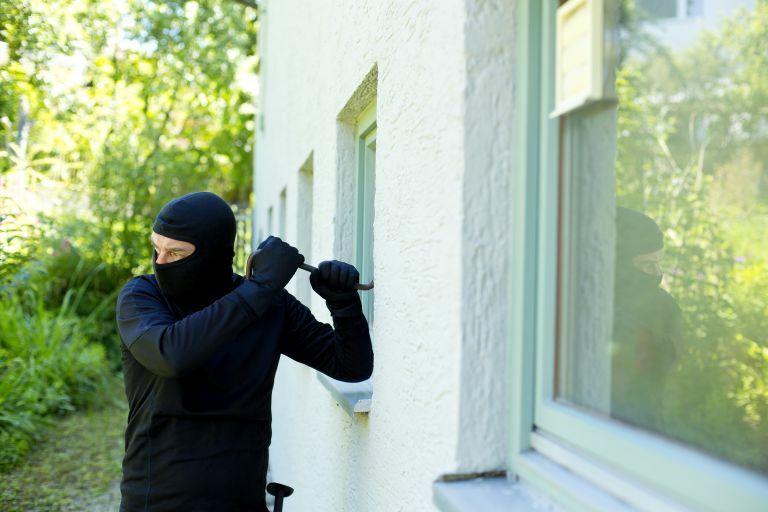 It also appears that watching security camera footage is something of a growing popular form of entertainment for some homeowners (with the police procedural dramas on TV, we don't blame them). Over 40 per cent of the respondents admitted that they 'regularly watched the footage', and nine per cent said they watched it every day. As it turns out, watching home camera footage did provide some of the home owners with considerable entertainment, with some of the things they had seen including ‘a postman tripping over and dropping his bag of post’; ‘a cherry-knocker’ (we're not sure what that is) and ‘a cat trying to get through a letterbox’. What do you use yours for? Get in touch and let us know on Facebook and Twitter.